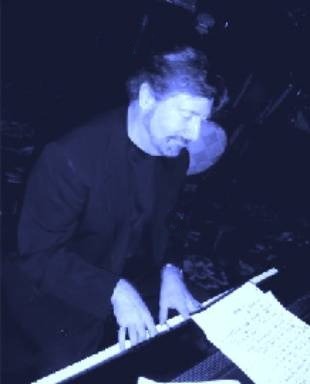 Singer-songwriter Larry White has long been recognized as one of the top talents in the music business, arranging conducting and performing for Film, TV, Broadway and the Recording Industry. Larry attended the famous High School of Performing Arts in New York City and attended college at U.C.L.A. After college he toured world-wide, performing with the vocal group "The Sandpipers" whose many hits included "Guantanamera" and "Come Saturday Morning." Larry has also conducted almost every major symphony orchestra throughout the United States and Canada. Looking for new challenges, in 2004 Larry returned to his first love... singing and playing his own music... contemporary jazz. Larry has been compared vocally to Al Jarreau, Boz Scaggs and Michael Franks, although his style is uniquely his own. The songs he writes along with co-writer Margaret White (his wife) are a unique blend of Jazz and R&B, with wonderful chord changes and interesting melodies. Their catalog of original material has grown to over 200 songs. With Grammy recognition for his "Unsolicited Material" CD, as well as increased airplay, now over 300 stations worldwide, Larry has just released his long awaited new CD "It Must Be Love" with all original music and lyrics by both he and his wife Margaret White. He topped the jazz charts at Amazon.com for an unprecedented two months 2 years ago, and in has continued to top the charts in three separate categories: Smooth Jazz, Jazz Fusion and Jazz Vocals, with the number one most downloaded jazz vocal of the year. Copyright © 2007-2018 CORONADO RECORDS All Images & Photographs All Rights Reserved.